Deciduous, coniferous, and mixed forests. Distribution Sources: 7, 15, 29, 76. The North American Porcupine (Erethizon dorsatum) is the 87th species in my Mammals of the World series. Curious bull dog attacked by American Porcupine. Poor Bulldog with 500 porcupine quills in his face. Animals vs porcupines always in danger of an attack. Its hot in Oklahoma this summer which is pushing a variety of wild animals to leave their natural habitat in search of water. One family's pet was unfortunate enough to encounter one of these wild animals. Bella, a bulldog, went face to face with a wild porcupine in families back yard pond. The bulldog took 500 porcupine quills to the face, neck, legs, chest, and feet. The family rushed Bella to the vet where they were able to begin removing the quills from the dog. It took over 2 hours fro the doctor and nurses to remove the majority of the needles and instructed the family to rub Bella's face and chest over the next few days as there may still be smaller pieces still stuck in their dog. Porcupines are the 3rd largest rodent next to the capybara and beaver. They move slowly and have few threats in its natural environment which would give it the need to flee quickly. Its natural predators include wolverines, coyotes, wolves, bears and cougars as well as humans. 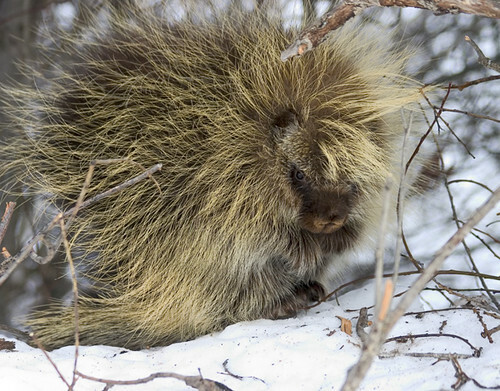 Due to its dangerous quills, the North American Porcupine is often avoided as prey and even regular predators may be harmed or killed by their quills. 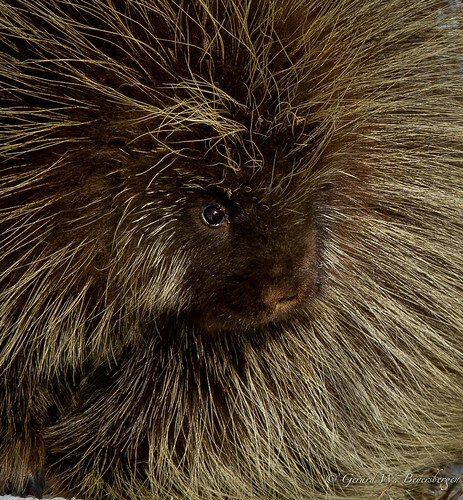 Most predators of the porcupine will attempt to stun or cause massive blood loss with an attack to the face. 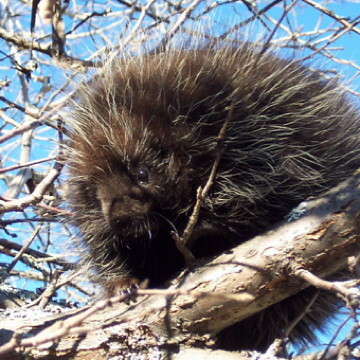 To avoid an encounter, porcupines often climb trees at the sign of danger, since most of their natural predators cannot pursue there. Their quills can be bought online and are used to make different types of jewelry or sometimes used to make clothing. 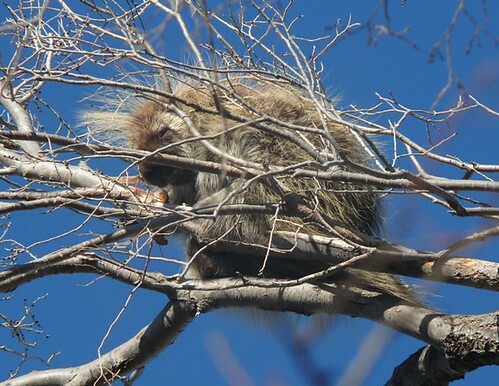 The North American Porcupine in its habitat. 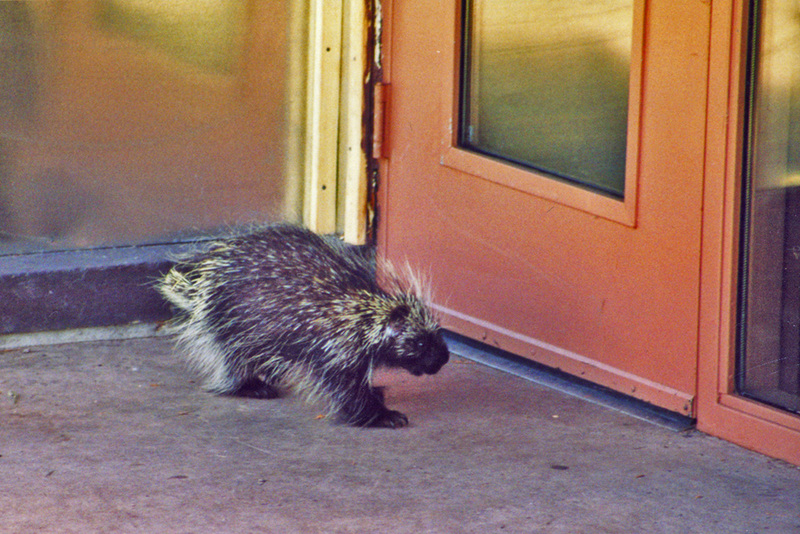 How a porcupine will defend its self from an attacker. A friendly porcupine in the woods at Jay Cooke State Park near Duluth, Minnesota, May 2010.